Are there plans, is it theoretically possible to have Windows 10 skin, under Windows 10 - in other words - keep the existing Windows 10 skin but only allow it to be modified using Classic Shell options, rather than replacing it with skin from previous Operating Systems? Since there are customizations which are easily done for individual items under Classic Shell, that could be a secondary purpose of Classic Shell for Widows 10: rather than (just) completely replacing the Start Menu under Windows 10, have Classic Shell help EDIT the _existing_ Windows 10 Start Menu. My dad got a new computer with win8 and NAV(Norton AV) installed. before I could start the install NAV would delete the file. Hello I use the classic small icons skin but whatever skin i try, the Show Log Off checkbox is inactive greyed out. I want to hide the LOG OFF start menu entry but it's always there. Go to the Customize Start menu tab in Start Menu settings, and scroll down in the left column and select Log off. Press the Delete key to remove it. • Note the year of modification is included ↑ and size is displayed last as it should be. • Note that for music files duration is displayed first ↑, Bit Rate is included and size is displayed last as it should be. The text on the status bar comes from the tooltip generated by the shell. I have no control over what information goes there. What is your screen resolution? Have you had an older version of Classic Shell installed in the past? It may be that the position was remembered from that old version, but the new Settings dialog is larger. Understood. Thank you for making this information available in the Status Bar - it is most useful. I did not know there was no control over information displayed. Yes, position issue is related to previous version installed, thank you. The Break Lights Arn't Big Enough!!!!!!!!!!! Years ago the only break lights on a car were little red circles, one light on each side. Then they became two lights on each side. then they became lights on the entire side of both sides of a back of a car. Then they added another light on the top in the middle. All because as peoples minds adjusted to the look of a break light on a car, they had to make them bigger. I think the prompts are getting bigger for the same reasons. Thanks for the original start menu, I think they changed it thinking that a click is faster and easier then moving mouse to end of menu to the little arrow, however the mind does not have the visual que of branching direction in the new form, so a part of thought process has to remember what scope a person is in. They gained not having to move the mouse to next > But lost the intuitive depth of scope the old menus provide. And I think they want to encapsulate much of the functionality away from the user. And away from any other applications coded by third party vendors. In the original "Start Button" window in Windows 7. you can exit the Explorer by holding down Shift+CTRL and right click an empty space in the Window. But you can still access the Windows 7 menu to do that. And in Windows 8, that function is moved to the Taskbar. I am not sure there is an API to cleanly exit Explorer. By the way: Classic Shell is in my view an excellent and ESSENTIAL completion to overcome at least one of the too many annoyances with Windows 7... and of the many more with Windows 8! How do I make it work with Windows 8? Is it possible to remove Apps from Start Menu? For people who have no use for Windows Apps, can they be disabled in the Start Menu so the Apps menu doesn't show up at all? Also, is there any way to add Favorites back into the Explorer menu [next to File Home Share View] just like it used to be under Windows XP, so you can drag & drop Favorites items down into any folder you are in? Re: Is it possible to remove Apps from Start Menu? 1) Go to the Customize Start Menu tab in the settings and delete the AppsMenu from the left column. 2) No, you can only have the Favorites as a button on the toolbar. Drag and drop is not supported there. Long time user since before version 1 here. I spent a lot of time looking for the answer but cannot figure out what happened to classic Copy UI. It's one of the main reasons Classic Shell was made in the first place and I would love to get the old simple Windows XP copy user interface back on Windows 8. 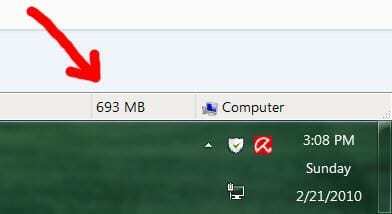 In the old versions and on Windows 7, the status bar had the option of showing us the combined size of files in any folder we go to, it displayed it in the lower right corner just like Windows XP did. Is that gone or can it be enabled in Windows 8? Also Ivo, is it possible to change icons of Back and Forward and Up next to the Explorer address Bar like with old versions? The copy dialogs in Win8 are very different from Win7 and vista. It is not possible to simply "reskin" them like before. If you want the old UI I think your best bet is to use a third-part copying software. Same for the status bar - the new Explorer doesn't have a status bar, not in the same way it used to. The new one is not really a window (a HWND). So subclassing it is not possible. If you want to change the buttons, I think you will have to edit either explorer.exe or explorerframe.dll. When you say "third-party" I assume you mean you would have to start a program and from within than program perform copy operations? 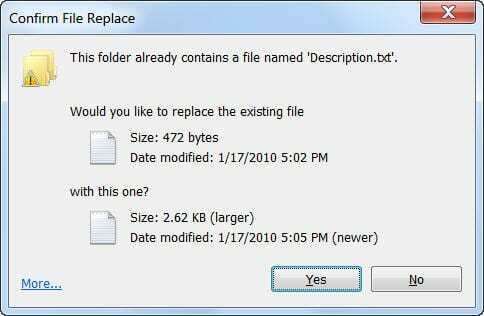 I would think you know about this more than most people so I understand you are saying it is just not going to be ever possible to within Windows 8 copy-paste a file and get a window telling you size/date of old vs. size/date of new file. I just wanted to confirm if this is something that is not possible or if it something that you or someone else is still figuring out how to do? Lack of status bar info is the second, big unresolved problem with Windows 8, and I assume the same applies as far as it just not being possible to insert that info there or if you are still working on it? Would it be possible to add a checkbox in the Windows 8 options to turn on/off mouse gestures. It would also be nice if you could add the ability to disable the password prompt when starting Windows 8. By mouse gestures you mean Charms. Enable "All Settings", Windows 8 tab, select "All" option for "Disable active corners". To autologon to Windows 8, type netplwiz in the Start Menu search box and set up autologon for the user account you want. After several weeks' work, the translation of the interface Classic Shell has been finished. The localized file can be, temporally, downloaded from this place, and the interface of the translated configuration dialogs and installation instructions is published at my blog entry: Classic shell 3.6.1 Chinese Language Pack[^].